E-Prescribing, or electronic prescribing, is the method of electronically sending a prescription to a pharmacy using software on a computer or other electronic device, such as a tablet or smartphone. This replaces the need to handwrite, fax, or phone in prescriptions. 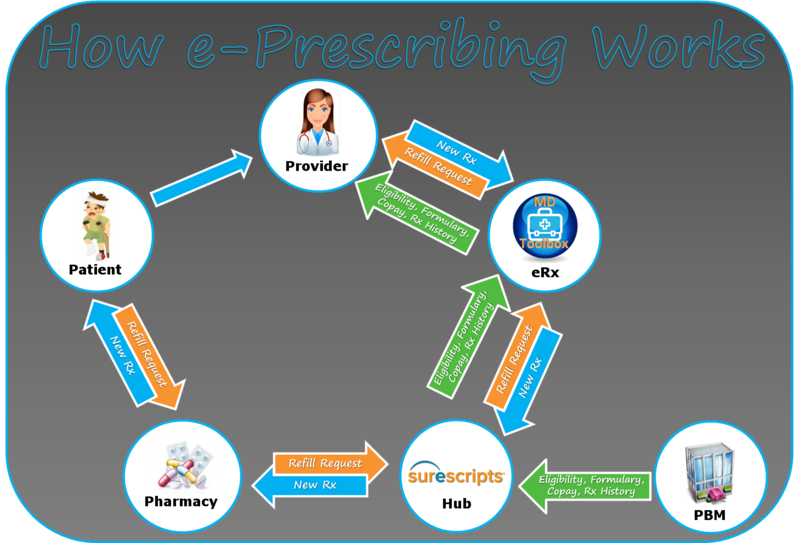 e-Prescribing is driven by software which is used to electronically send a prescription to a pharmacy. 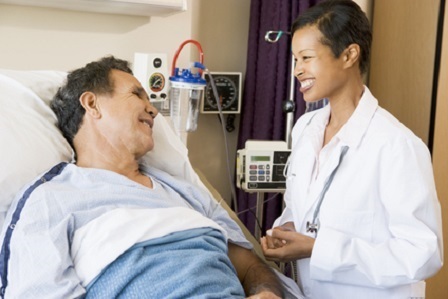 When a patient is seen by a prescriber, the prescriber can use their e-Prescribing (eRx) software from a computer or handheld device to write and send a prescription. The eRx software then routes the prescription through a hub, such as Surescripts ®, and then on to the pharmacy. It is sent just as quickly as sending an e-mail, and often times prescriptions are ready and waiting for the patient before they even arrive at the pharmacy. e-Prescribing software also allows for the pharmacy to electronically send a refill request to the prescriber. This is the same process as a new prescription, only reversed. The pharmacy requests a refill which is routed through a hub and then can be seen and responded to by the prescriber in their eRx software. An added benefit of using e-Prescribing software is that prescribers can access the patient’s eligibility, formulary, and prescription history information. This information is sent from the PBM (Pharmacy Benefit Manager), usually through a hub ( such as Surescripts), and can then be seen in the e-Prescribing software at the time of prescribing. 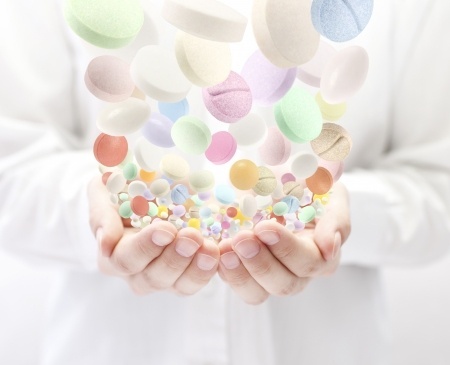 How Does e-Prescribing Benefit Providers? How Does e-Prescribing Benefit Patients?